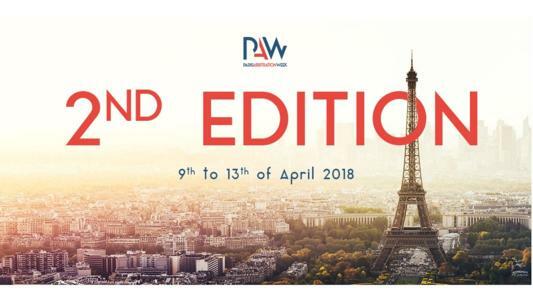 After the success of its inaugural edition in 2017, the second annual Paris Arbitration Week will take place from the 9th to the 13th April at various venues in the city. Paris Arbitration Week (PAW) brings together the European arbitration community with the ambition of sharing information and best practices, in order to shape the future of the profession in one of the world's most sought-after international arbitration centers. The first edition of the Paris Arbitration Week attracted a remarkable turnout: more than 20 events took place over a five-day period, bringing together participants of various nationalities, backgrounds and profiles. Building on this success, the second edition will offer arbitration practitioners and academics a unique forum for exchanging views with eminent speakers on the issues and developments in international arbitration. As last year, the International Chamber of Commerce (ICC) Europe Conference will launch the 2018 edition on Monday 9 April. By 2017, it had already brought together nearly 300 participants from 40 countries. The conference will be followed by the opening cocktail of the Paris Arbitration Week 2018 organized by ICC, the Paris Place d' Arbitrage Association, the French Arbitration Committee (CFA) and the French Arbitration Association (AFA). The organizing committee is enthusiastic: "We are very proud of the first edition and the Paris Arbitration Week 2018 promises to be an exceptionally dense week of events including an attractive scientific program and various meetings; participants will take full advantage of this week. We expect the active contribution of many professionals and leading arbitration institutions to what will certainly be another great success." If you wish to organize an event or a meeting, you can contact the organizing committee (contact@parisarbitrationweek.com). You can also send him/her any questions or comments.